Chambers brothers, Lee Jennings, Finley Anais, John Roberts, Don Hart and more. 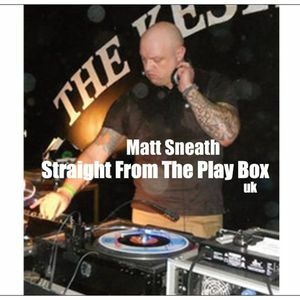 Big thanks to Matt Sneath for the 89th "Straight From The Play Box" mix. Matt Sneath from Market Harborough has recently DJ&apos;d at Burnley, Empty bottles, mojo Rotherham and at Mick H&apos;s crazy all dayers, Catch him playing in the next few months @ lifeline, Radcliffe, Go Go children, and Pumping Hearts. Top Mix for Sure! Very nice! Thanks for the share.